When SIF selected Cabbige for the 2015 Social Business Accelerator, the company was only in its second year but had already seen positive results. Farms that participated in a 2014 pilot of Cabbige’s pricing tool saw an average increase in revenue of 9.6%. Cabbige Founder & CEO Jessica Angell saw the Social Innovation Forum (SIF) Social Business Accelerator as a way to connect with other companies focused on social impact. Although Jessie knew that the accelerator would require serious investment of her time and energy, she hoped that the experience would add value to her company and provide useful connections. The program forced me to ask hard questions about my business and I realized how much I needed this. Jessie was very pleased with her SIF experience. Not only did she become part of a vibrant social impact community, but also she was challenged to ask really tough questions about her business. She credits the SIF team with instilling in her a level of rigor and discipline in every aspect of her business, especially around user research and user interviews. Jessie embraced the process, asking her own hard questions and listening deeply to feedback from the cadre of SIF business mentors. In June 2015, she pitched Cabbige to more than 150 potential investors at SIF’s Impact Investing Showcase. The generosity and engagement of the mentors who donated their time each week to work with the cohort impressed Jessie. One of the mentors, entrepreneur and investor Ben Chigier, was particularly keen to help Jessie figure out her own product pricing. Several weeks into the accelerator program, he came to her office and worked with her to develop a pricing plan. 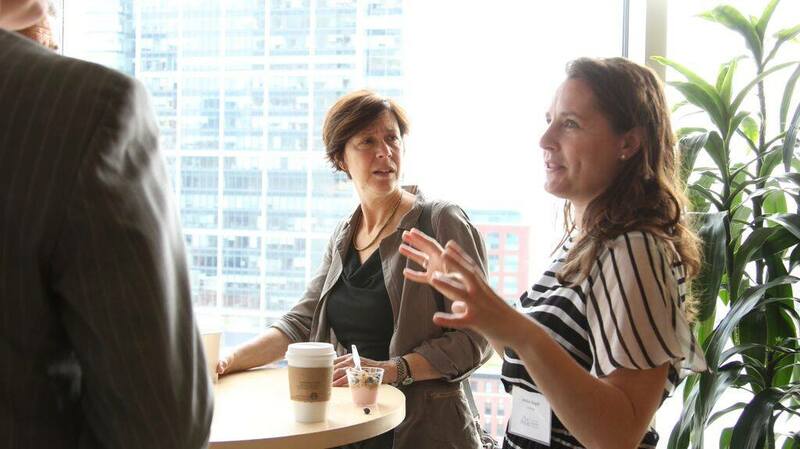 Another mentor Jessie met through SIF, Cathy Mannick, a Director at Launchpad Venture Group, became a supporter and good friend, and later Cathy became Jessie’s official mentor in the MassChallenge accelerator. Cabbige launched a second version of its service shortly after the SIF program ended in June 2015, and its user base continues to grow. In July, Reynders, McVeigh Capital Management, a socially progressive investment firm and SIF partner, awarded Cabbige its Social Innovation prize. The cash award provided critical operating support to the bootstrapped company. Several months later, Cabbige continues to expand and refine its product, adding new features and signing up additional users. While Cabbige is focused heavily on the New England region, farms as far away as Missouri, Kentucky and the state of Washington have signed on to the service. The company has launched a partner program with FRESHFARM Markets in Washington, D.C., a nonprofit that runs 13 farmers’ markets and whose mission is the economic and financial viability of farms in their region. Through the partner program, farms in the FRESHFARM Market network will have access to Cabbige’s online business management tool.